Shallow running crankbaits like the Sebile Bull Minnow are effective in fall. One need only follow his exploits on Facebook to realize that this designer of fishing tackle is a dedicated angler of vast world wide experience. One wonders when he finds time to design his lures. As we move into fall crankbait season the Sebile Action Series crankbaits that came in the mail today are a welcome addition to this angler’s war chest. The floating Bull Minnow is for depths of 2 to 5-feet, just right for those suspending bass of early fall. The Suspending crankbait Star Shiner works just a little below those depths. The particularly attractive feature of these baits is that they are precision tuned right out of the box. As one who hates to tune crankbaits, that is a great feature. Shallow water cranking is an effective fall technique. As the water cools the surface swarms with schools of bait fish. Working crankbaits just under the forage fish on the surface produces action from the predator fish preying upon them. A blue September sky and relatively clear water sends anglers in search of darker water. 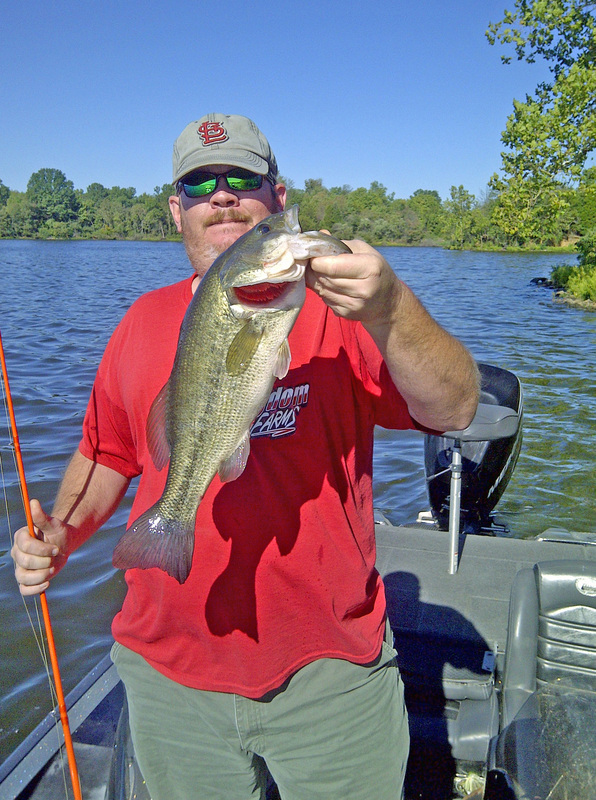 Easing a boat into shallow coves allows for the use of crankbaits. If the water is slightly stained and there is a lot of wood to be found so much the better. Cast crankbaits beyond submerged trees and brush. Then slowly twitch them into position on the edges of the wood. Letting it sit still for a minute entices wary fish that cannot help but attack this invader of their space. Start cranking with small light colored lures. Color is less important than size. By beginning with small white, green or chartreuse colors you locate the fish. Then change to the larger crankbaits. The larger crankbaits take any size fish. Smaller lures tend not to attract many large fish. The length of a cast, line diameter and the design of the lure all affect the depth at which a crankbait will run. Do not just cast and crank casually retrieved. Change the speed allowing the fish to react to it. Manufacturers mark the package with the depth a lure will run. Once out of the package use a marker pen to write the running depth on the bill of the lure for future reference. A shallow running crankbait will run 3 to 4 feet down and is used to fish over the top of weeds or in shallow water. Deep running crankbaits run 8 to 10 feet down and in dirty/deep water. Anglers count on a bait with a larger lip running deeper than one with a less prominent lip. It is possible to trim the lip on a deep diving crankbait to find a depth to make it run just right for the fish present. In this way you have a lure that will run between the zones of the traditional shallow running or deep running baits. 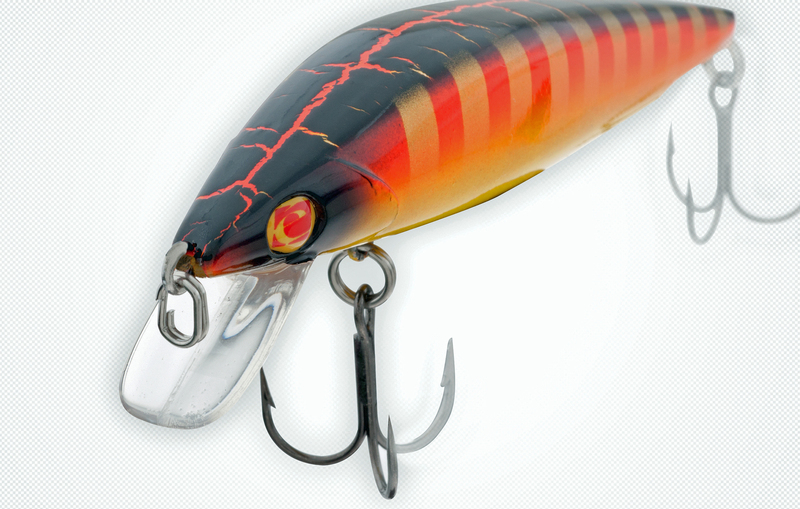 Another way to vary the running depth of a crankbait is to add weight inside the body of the lure. The more weight added makes the lure suspend or run deeper. Colors are the preference of the angler. Subtle colors seem to work best in clean water. Bright colors are preferred for dirty or stained water. The most important factor is having the lure in the fish’s strike zone. Lure speed does not significantly affect the depth at which it runs. In fact some lures actually run shallower at faster speeds. Be consistent and learn from experience just how deep the lure is running. Line diameter does affect the running depth. For each two pounds of line weight subtract about one foot from the lure’s depth. Crankbaits are great tools for covering a lot of water and finding fish. By finding a good pattern, knowing the lure color to use and the right cover to fish, a fisherman covers more water with a crankbait than any other type of lure. The transition from summer to fall bass fishing patterns is difficult for some anglers. Actually is it just different. The weather is the chief factor to consider. Cool nights cause fish to move shallow, but hot days will move them back deep. Scott Pauley of the Missouri Division of Tourism and avid tournament bass angler points out that Missouri experiences a turnover of the lakes in fall. “Turnover,” explains Scott, “is when the colder, top water layer is heavier than the warmer, lower water layer.” The lake actually flips over bringing a lot of moss and slime to the surface and the water’s oxygen changes. The fish react in different ways. Some go shallow and others very deep. This makes fishing a little crazy and tough to get a bite. This change in the habitat allows you to try a variety of lures. You just have to find what the fish want. On the same day you might catch fish on one lure in the morning and another in the afternoon or mid-day. They make want one lure in deep water and another in shallow water. You just get to try everything in your tackle box. Huntable water comes in two categories: open water and ponds. This allows us to have a plan for water wherever our hunt is to take place whether or not it is a place you have been there previously. A basic set up in a pond situation consists of two bunches of decoys, separated by about 20 to 30 yards. Set them up with the wind quartering over either shoulder of the hunter. Try to avoid dead away or sideways and never with the wind toward your position. Unless the wind is going away, the result will be that you will spend most of the time pass shooting. The theory is that birds will land in the gap between the decoys. Prepare for mallards that are notorious for landing at the edge of a set. With two sets of decoys you effectively establish three landing areas. The idea is to position birds for a shot as opposed to giving them a landing area. Hunters need to know exactly where ducks are going to land. 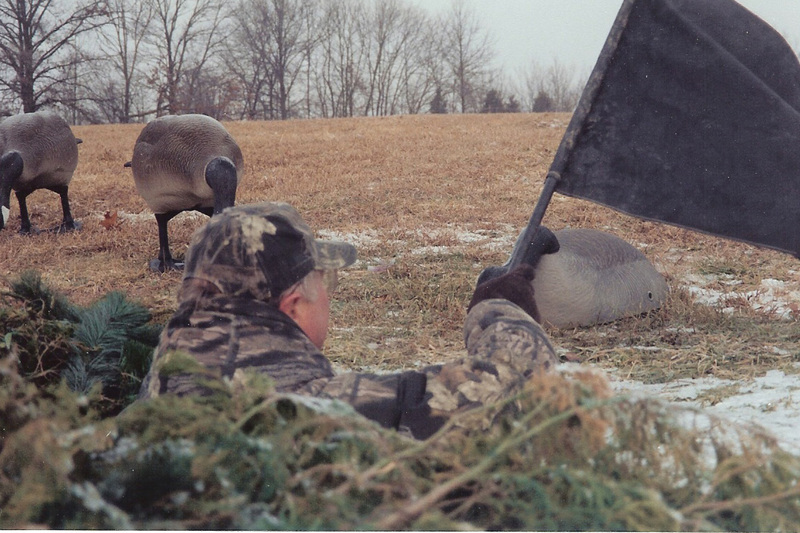 Good hunters like to use a duck/goose spread in the majority of locations. For a set up on a bank, run about 30 to 50 goose decoys in a kind of rectangle shape just slightly above the blind. Begin just to the side of the shooting position about 15 yards and then run them four or five deep out about 40 yards. That way if the honkers decoy to the edge they are still in range. Begin placement of the decoys where they come up to within ten yards of the bank. Place the ducks heavy right up to 10 or 15 yards from the blind. Then tail them off out to 60 or 70 yards from the bank. The spread gets thinner until it is just a single line. The result is an L or the old “Diver Hook” with a heavy concentration right in the pocket. Mallards tend to decoy to the back of goose decoys. The set up is not natural but it works well for both mallards and geese. It is not anything you would see in a marsh, but then you are setting up for a position to shoot. If you are not in an open water situation, you can forget the goose decoys. Early in the migration run an even number of hens and drake decoys. Later run 80 percent hens 20 percent drakes. The hens lead the migration and the big drakes are the last to migrate. If planning to hunt geese in an open field keep the majority of decoys behind you. Most open field goose hunting occurs early. The hunter sits on the downwind end of the spread. The spread is a shallow wide horseshoe. Place four or five sentry goose decoys just down wind of your position. It simulates geese that have just landed and are walking their way into the flock. All of these spreads demand a large number of decoys and some maintenance on them. A tip for waterfowlers is to use a little soap and water and some Armor All instead of repainting and buying new decoys every year. They will be a little shiny at first but after a couple of outings their perfect. 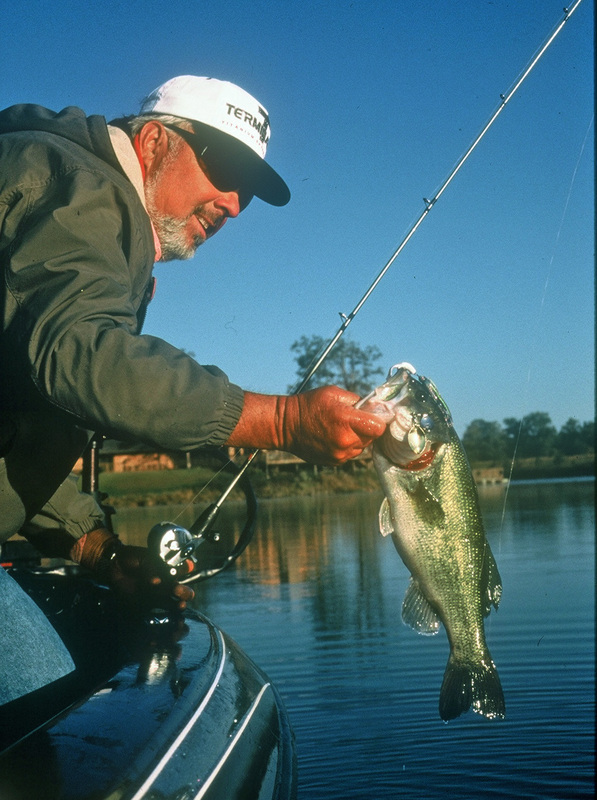 River fishing is really a kind of hunting for “fishy water.” To be successful in finding bass, the river angler must know how to read the conditions. Water conditions and structure available are important to the river bass angler. Heavy current and a lack of structure generally mean no fish. Bass generally lack the energy to fight a swift current for more than a few minutes. To overcome fast water bass will stay behind some structure in the slack water or eddy and wait for the current to wash food to them. The environment on big rivers is forever changing. Every flood re arranges the bottom structure by changing deep channels and washing along new obstacles. A good rule of thumb is that unless you fished a certain are recently you may never have fished it, as it exists today. That is not to say that you cannot have a honey hole. Honey holes are where water temporarily slows or stops. These can be areas such as eddies behind snags, below sandbars or following a cut in the river bank. That is where the fish are likely to hide. Along the shore line it is important to look for shady areas on water. It can be beneath a tree overhanging or a boat piling. Areas around old boats or wrecked barges attract bass. Wooden structures and brush piles are especially good locations for bass. In cool waters of rivers the flowing and mixing action of current oxygenates the water and allows the bass to feed for more extended periods even on the hottest days of summer. Water clarity is an important factor in river fishing. Seldom is the water really “clear.” Subtle presentations seldom are a choice for such water. Big, bright, noisy lures seem to be more productive. Big bass in rivers like to take advantage of wounded baitfish or unfortunate creatures that fall into the river. They hit them fast and hard in order to beat other fish to then or catch them before they wash away in the current. Lures such as jointed minnows, buzz baits, and an occasional rubber frog are effective. Anglers on some river systems seem to prefer crankbaits and ringworms. For the no-competition angler the ever popular minnow is good for bass bait. Just hook it through the back and “live line” it. For plastic worm fisherman it is probably a good idea to work them more slowly. One just keeps the slack out of the line and works the lure over the bottom with a slow retrieve. Be a “line watcher.” Try to set the hook when anything unusual happens to the line. Many pick-ups will be subtle. Plastic worms work well when exploring sandbars. Bass will move back and forth over submerged sandbars. Patience is the key to fishing this location. It is a good idea to visit such places several times during a day on the water. You may catch several fish in a few minutes and then nothing. Thirty minutes later you may catch several more and then again nothing. Most bass anglers seem to prefer six- to 6 1/2-foot medium-action rods with bait casting reels. For river fishing perhaps a heavy rod or two might be in order for those snagy areas. Line probably should be on the heavy side. Perhaps something in the 12-pound test class is called for. One can experiment to find what works best in the river conditions he is mostly likely to encounter. It is no secret that lakes and impoundments are a bit crowded on the weekends when most people want to fish. Switching to rivers can alleviate that problem. Most anglers live but a few minutes from a lake or pond. We tend to concentrate on such water and ignore river bass. Rivers have improved in water quality in recent years. Most now contain bass. Now is a time to try river bass fishing. Change your program and some nice fish will get caught. In southern Illinois, fishing 90-degree water calls for a change of tactic. These southern lakes and pounds contain smallmouth bass, largemouth bass, white bass, walleye, crappie, bluegill and some assorted sunfish. Focus on the channel and blue catfish in the daytime and the flatheads at night. Lakes and rivers experience a thermocline effect in the water during the hot summer months. The water below that level lacks adequate oxygen for most species of fish. As a result most fish suspend above the thermocline usually at a depth of about 20 feet. The thermocline is a band of water in which the temperature is 5 to 10 degrees cooler than the water above. Below this band the water is even cooler. The fish will be in the water above the thermocline all summer but tend to hang close to it. Catfish are usually at about 20 foot depth and other species above them. They relate to any structure at those depths. For instance humps and sunken islands attract catfish. These fish are active in hot weather contrary to popular belief that they might be inactive in response to the lack of oxygen in the water. The shad in a lake will be in the top section of the water column. White bass force them there. Seagulls fly over the shad breaking the surface. It is the bird’s presence that alerts fishermen to the presence of potential action. Below the white bass is where the catfish lurk. All the traditional catfish baits and lures work in August just as they do the year around. 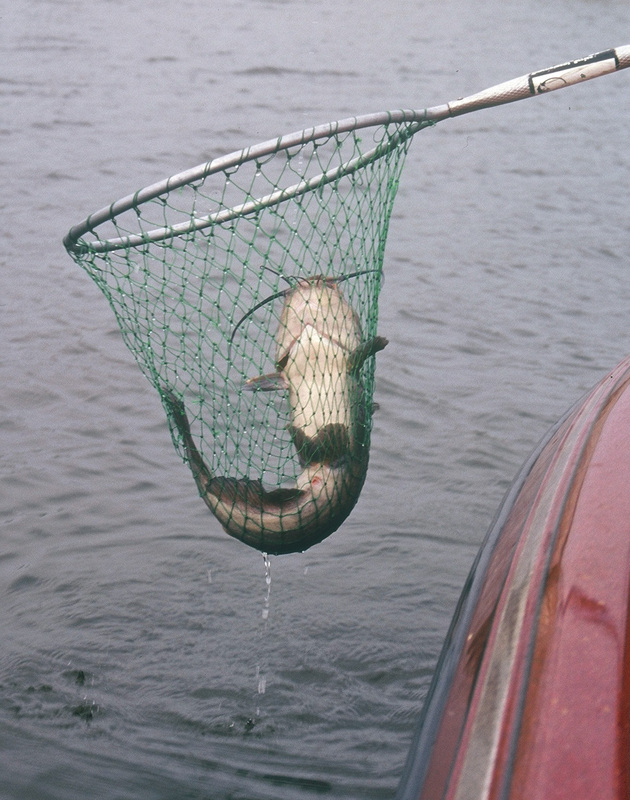 Channel catfish will take almost anything but the blues and flatheads prefer live bait such as a sunfish or shad. It is important to place the bait/lure at the right depth. The slip bobber rig is the choice to keep the bait off the bottom. In the case of crankbaits one can count down to a desired depth before retrieving the lure. A deep diving crankbait trolled at 2 miles per hour should run at about 18 feet down. Crankbaits in shad imitation shapes and colors work in clear water. In rivers work the slack water behind structure as well as hollowed out holes in the bottom. There is more current above them and less deep in the hole. In river situations you probably will have to travel more to find schools of fish. As for color in the use of crankbaits adjust according to water clarity. Murky water calls for orange, chartreuse or yellow fire tiger baits. In clear water blue or the more natural colors including brown and black are good. Snug in a leafy treetop canopy, squirrels present a challenging quarry for the early season hunter. Chasing this ghostly king of the treetops is a small game hunting challenge that requires careful planning. All too often the quarry is underestimated. In southern Illinois there is an abundance of squirrels and public land upon which to hunt them. A wise hunter will utilize information regarding the available food supply. 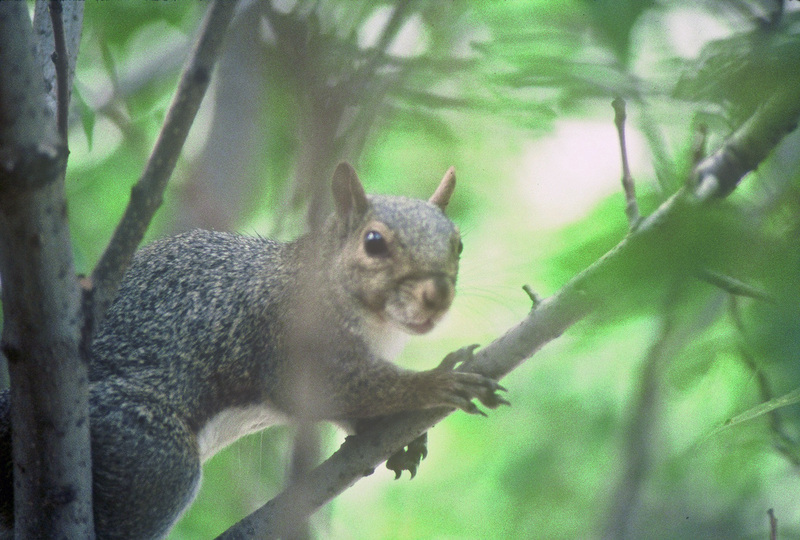 Both Gray and Fox squirrels prefer hickory, black walnut, and white oar acorns. Look under trees for signs of squirrel feeding. This can be pieces of hulled-out nuts, and acorns bitten into and cast aside for one reason or another. In the local forests, hickory trees might be somewhat scarce. Find one with fresh cuttings under it and you have a squirrel hunter’s gold mine. Oaks, both white and red, are a second choice for most squirrels. Again study the ground around the oaks for sign that the tree rats have been feeding there. Squirrels will leave empty acorn caps, pieces of acorn shells and partially eaten acorns. Squirrels are messy eaters and leave plenty of notice that they have been in the area. Squirrel hunting, for the most part, consists of a slow walk through the woods pausing every now and then to scan the upper canopy of the trees for activity. Some view this time as an opportunity to do some pre-season scouting for deer, make decisions on treestand placement and the clearing of shooting lanes. It also provides a chance to thin out the squirrel population near intended treestand sites. Nothing ruins a chance at a deer faster than an irate squirrel baking at a hunter. Many hunters prefer to hunt squirrels alone so as to be at one with nature and enjoy the early fall weather. But, the team approach probably is more productive in terms of meat for the table. It consists of a slow walk with one hunter 25 to 30 yards in front of his partner. As the squirrel’s attention focuses on the lead hunter, the trailer takes the game. Squirrel calls to get the quarry to expose themselves to the hunters. The call is not to “call” the squirrel. They are a tool of aggravation. Once the quarry hears the sound of a stranger invading his territory he cannot resist scolding the intruder. This scolding gives away his position. Another tool of the wise squirrel hunter takes advantage of the squirrel’s habit of moving to the far side of a tree from where the hunter is located. He then peeks around and watches the hunter walk on past. Smart hunters sit still and wait of the squirrel to come around the tree trunk to see why the hunter did not pass. If the squirrel does not come around, one can toss a stone or branch to the other side so as to make noise. The squirrel will scurry around to be opposite the noise and runs right into the sight of the hunter. The hardwood stands on 400,000 acres of public land in southern Illinois are home to many squirrels.